I'll check it out. There isn't anything new in it's premise or anything but the character designs are cute. I really don't find anything interesting about it. The artstyle, however, reminds me of School Live! Lol, I haven't done with Hinako Note and there is a new CGDCT. 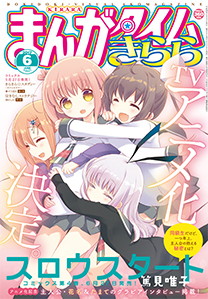 From Manga Time Kirara?? What a delight! Don't worry Hana-chan! I'll be rooting for you even before the anime airs!